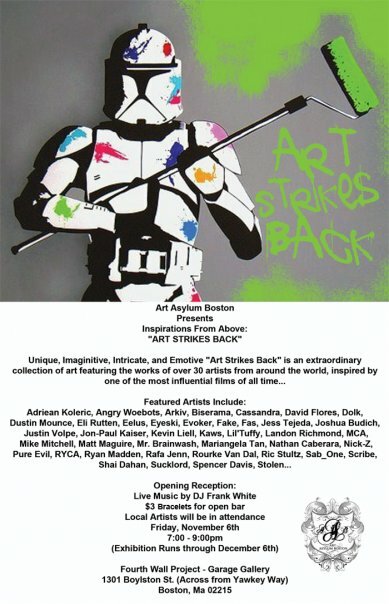 This Friday, Nov. 6th, artists Shai Dahan and Arkiv of our Abztract Collective will be taking part of the Art Strikes Back event curated by our good friends at Art Asylum Boston. If you are in Boston, make sure to stop by. Shai Dahan will be in attendence along with some of the other artists who make up the fantastic roster (30+ artists).